This is a fully comprehensive course designed for an individual with little or no lift truck experience. This course is comprised of intensive classroom instruction, including discussion and a written test, as well as hands-on practical training and evaluation. 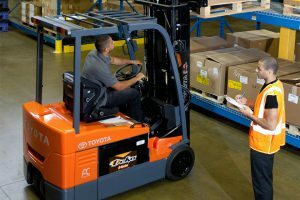 Upon successful completion of the course, the operator will be presented with a lift truck certificate as proof of training. As changes and additions have been made over the last edition, there is one notable change pertaining to retraining requirements. More info.